CMF Director, Greg Childs reports on progress with planning for the new government funding initiative. 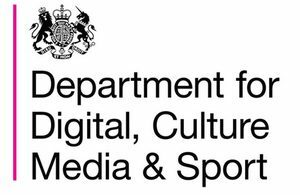 On 19 October the DCMS handed over responsibility to the BFI for the fine tuning of what they are now calling the "Young Audiences Content Fund". The BFI are the body that will operate the fund when it goes live. The government issued a policy paper outlining the approved plans in more detail, and it's now clear that £57m will be available for children's and youth content over a three year pilot, starting in April 2019. The devil is always in the detail of course, but the plans are lining up to be a great boost to the UK production sector, and should provide a range of new content for kids and young people, especially in areas identified as "underserved". The fact that the Fund has been substantially allocated to the children's and youth audience is the product of intense lobbying by CMF and other stakeholders, including Pact and Animation UK. £3m of the fund's original budget has now been dedicated to stimulating competition for public service radio content. That will be operated by a separate not-for-profit organisation specially created for the purpose. In our reaction to the Oct 19th announcement CMF suggested that this money also be prioritised for content for young people... That remains to be seen. Meanwhile the BFI has between now and April 1st 2019 to finalise the detailed plans for the Young Audiences Fund, consulting with the industry and stakeholders like the CMF along the way. The BFI will be responsible for assessing applications to the Fund against evaluation criteria. A Head of Fund will be appointed to oversee this. Applications will be made on a rolling basis - i.e. no set "commissioning" date. Applications can only come from companies registered and centrally managed in the UK (or the EU or EEA). Grants will not be recouped - and can be up to 50% of the production cost of a project. TBC, but it's likely that applicants will need a letter of interest from a broadcaster prior to applying. The grant will only be paid when the remaining funding has been found and a guarantee of broadcast on an Ofcom regulated free-to-air channel or platform is in place. Quality:​​ productions should meet the purposes and characteristics expected from public service content, as defined by Ofcom. Innovation: ​​programmes that introduce new ideas and innovative approaches, both in terms of content and production methods. "Additionality": content that would be difficult to produce without intervention, that the market would consider a commercial risk or too challenging. UK indigenous language content will be eligible for funding​ with a target of 5% of the awards. Diversity: ​​productions that promote diversity both on and off air and tackle under-representation, including gender, disability, age, ethnicity, and sexual orientation. Fund applicants will be expected to meet the BFI Diversity Standards. New voices: ​​consideration will be given to initiatives that introduce fresh voices and enable smaller content producers to compete. 5% of awards will be assigned to development funding, to support emerging and smaller production companies to develop content in advance of applying for production funding. Plurality​​: the importance of producing content across a range of different channels and platforms will be considered. Audience Reach: content needs to be available across the UK and will need to be first aired on free-to-air, Ofcom regulated platforms, that also have significant audience reach. The full evaluation criteria will be published on the BFI website on 1st April 2019 - when applications will commence. The Fund and the criteria are designed in part to address the shortfalls in the market identified by Ofcom in their recently published Children's Content Review - content for older children and young teens, children gaining a better understanding of the world in which they live, and children seeing themselves and their stories represented on screen. The scheme is a pilot and will be evaluated after each year of its 3-year lifespan. This will allow refinements to the process and the priorities year on year. At the recent All Party Parliamentary Group meeting reported on by Jayne Kirkham elsewhere, the public service broadcasters (ITV, Channel 4 and Channel 5) all welcomed the Fund and revealed that they are considering the potential for funding support as part of their thinking about OFCOM's challenge to them to increase children's content, which was the outcome of the Ofcom Review. Their proposals to address this must be presented in March 2019. This is in contrast to the BBC. Their press release cast doubts on whether such funds could operate successfully, while once again expressing concerns about the future funding of the scheme beyond its pilot. On the latter point the CMF has already made representations that thinking beyond the three years needs to begin now, to explore methods of funding which do not rely on top-slicing the Licence Fee, but produce new finances to maintain the Fund if the pilot is successful.